Called the Organic Valley Coffee Shop, this unique pop-up store opened in Manhattan a few weeks ago to lines a dozen deep. The caffeine-seeking crowd didn't know, but soon found out, that the joint sold only Organic Valley Half & Half in sizes like Lil Bit, Double and Lotta, a not-so-subtle poke in the eye to a certain mega chain. The whole venture, in fact, was sort of a goof, but it made for great video starring a folksy dairy farmer chatting up Nolita hipsters. (They paid $2 for the creamer but got their cups of joe for free, so no one left without their fix). The stunt, engineered by ad agency Humanaut, is an example of unexpected, breakthrough marketing that's happening across the food world, where origin stories, even if they're served up with a side of Punk'd, matter more than ever. 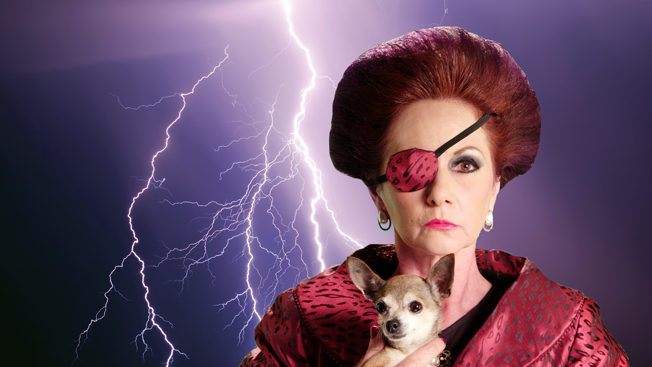 Goodby, Silverstein & Partners created a four-episode telenovela, dubbed Botanas del Cielo (Snacks from Heaven) to hype client Tostitos' new chips and salsa, and Hamburger Helper dropped a (shockingly good) five-track hip-hop mixtape called "Watch the Stove" that quickly became a viral hit this spring, snagging upwards of 4 million plays on SoundCloud in its first few days. Ad agency Humanaut, meantime, stepped up its satire and stunts for Organic Valley, showing that food marketers have a sense of humor and understand the halo effect of quality branded content. "Food can only take itself so seriously," said David Littlejohn, Humanaut's founder, chief creative director. "And if you do something fun and surprising, the brand gets credit in a way they never do when they're interrupting your sitcom." Competition is fierce for creating shareworthy branded bits, he said, but the payoff can be huge. And the investment? Even a five-figure video can turn into a viral success. Marketers, forever eyeing the bottom line, seem to be more open than ever to this kind of digital experimentation. "Brands are realizing they need to have a voice," Littlejohn said, "because they're actors in the culture." Is it cage-free, grass-fed, fair trade, non-GMO, sustainably raised and locally grown? Bonus points for heirloom or ancient. Consumers are demanding more morally conscious, real food as brand packaging and advertising increasingly takes note. 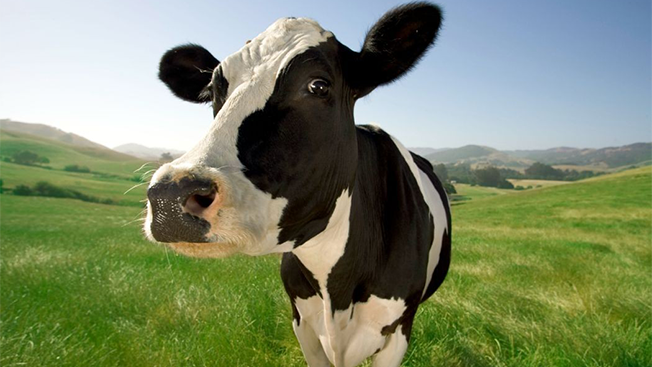 It's gone beyond Deutsch's happy cows, for the California Milk Advisory Board, to U.K. retailer Waitrose live-streaming video of its supplier farms, which is just as pastoral as it sounds. Consumers want to know exactly what they're eating and where it's from, which, CEO and founder of Fexy Media's SeriousEats.com Ed Levine says, shows their food sophistication, environmental awareness and "respect for the craft." "People crave authenticity," he said. "They really want to know the provenance of the food and whose hands were in the dough." And woe to those who fudge the story, as food fans are quick to ferret out hypocrisy and spread it via social media. A recent expose dubbed "Farm to Fable" in the Tampa Bay Times, widely circulated online, found that the "local" claims of some area restaurants were far from genuine. "If you throw those words around, whether on packaging or advertising or in a restaurant," Levine said, "someone may just pull back the curtain." Chains like Trader Joe's are touting their donations to local shelters and soup kitchens as food waste makes national headlines and gets skewered on John Oliver's HBO series, Last Week Tonight. It's the focus of award-winning documentary Just Eat It, which estimates that about 40 percent of the food purchased in the U.S. each year goes uneaten, wasting $165 billion in money, water, labor and energy. 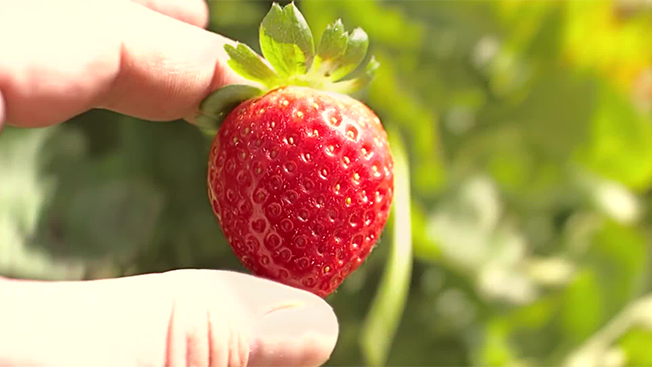 The Natural Resources Defense Council, with agency SapientNitro and the Ad Council, addressed the problem in a PSA dubbed, "Save the Food," that followed a strawberry from birth on the vine to sad, furry death in the back of the fridge. Celebrity chefs stepped up their activism in the area – Mario Batali released a free mini-cookbook online called Ugly Food: A Collection for Earth Day this spring, asking home cooks and industry pros to embrace "cosmetically challenged produce," while Tom Colicchio continued his public crusade to cut waste via his non-profit Food Policy Action. Roy Choi and Daniel Patterson started integrating what could be considered scraps into their recipes at trendy Los Angeles restaurant LocoL and Dan Barber of Manhattan's famed Blue Hill created a pop-up event called wastED with famous chefs using culinary odds and ends. Chef Gordon Ramsay noticed how food-obsessed kids had become about five years ago, likely reflecting geek-friendly molecular gastronomy and access to simple recipes and demos online in a post-Ratatouille world, he said. Cooking started to outpace youth sports in popularity, with turnout for early Masterchef Junior auditions "much bigger than we'd predicted—just extraordinary," Ramsay said. Now you can't swing a dead carp without hitting a pint-sized culinary contest. Food Network has nearly a half-dozen kid competitions—the latest, Kids BBQ Championship, launched in May—and FYI just kicked off the second season of its hit, Man vs. Child: Chef Showdown. Fox's successful staple Masterchef Junior, which premieres its fifth season this fall, has more adult-kid co-viewing than any other broadcast series on Friday nights. 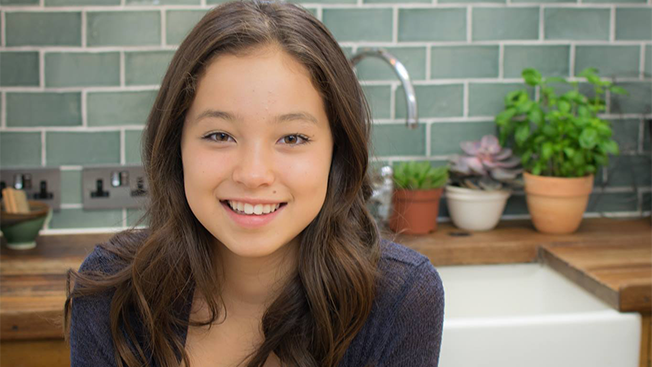 Elsewhere, young chefs like Amber Kelley are increasing their digital influence while YouTube star Rosanna Pansino's Nerdy Nummies has racked up more than 25 million video views. There are cooking magazines and summer camps for tweens and teens, and merchandise that leaves the Easy-Bake Oven in the dust. "Kids really learn confidence and life skills by cooking," Ramsay said. "And they're now re-educating their parents on how to eat properly." Starbucks tucked into Target stores have started selling beer and wine, and retailers like Urban Outfitters and Club Monaco are mixing food and fashion to lure consumers into their "lifestyle destinations." Urban Outfitters is rolling out more hip restaurants in their stores from superstar chefs Ilan Hall, Marc Vetri, Michael Symon and others. The new food-and-shopping combos are aimed squarely at millennials, trying to give them something they can't buy online: an experience. "Today's consumers want to shop for shoes, hang out with their friends, have a meal, all in one place," said Lisa Shotland, agent in the lifestyle group at Hollywood's Creative Artists Agency. "Food is a great community builder." 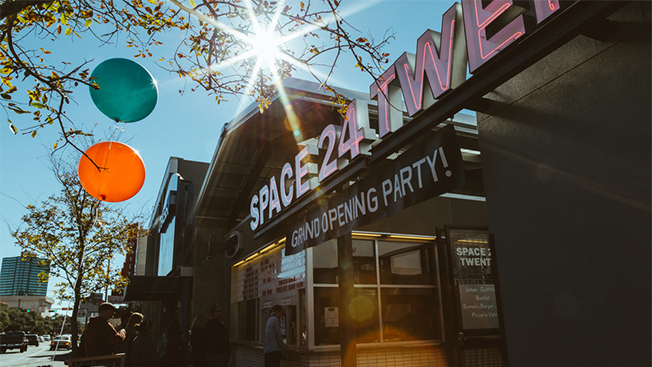 One of the most recent openings: Urban's Space 24 Twenty in Austin with Symon's Burger Joint and Pizzeria Vetri. Still going strong: Hall's Israeli barbeque restaurant Esh, formerly The Gorbals, in Urban's Brooklyn location, which sports a busy rooftop bar. Meantime, Club Monaco opened a pop-up shop in Copenhagen's Noma, known as one of the best restaurants in the world. The curated collection, a first of its kind at the upscale eatery, earned a 12-page slideshow in GQ. Shotland predicts plenty more fusions of retail and restaurant brands. Not only does food need to be intriguing, the packaging it comes in should pull its weight, too. 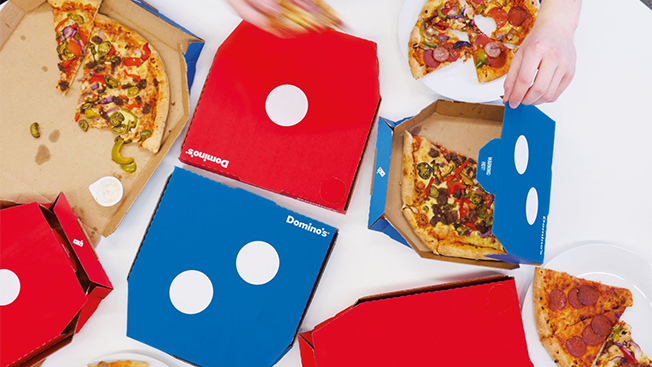 And increasingly it does, with marketers like Dominos in the U.K. redesigning its pizza boxes to looked exactly like oversized red and blue domino playing pieces, and McDonald's in Sweden launching Happy Meal boxes that turned into virtual reality headsets. Customization like Coke cans printed with your name and Diet Coke's unique digitally printed designs will continue to be popular, as the soda maker just kicked off a summer song lyrics promotion, putting phrases from All I Do is Win, We Are the Champions and other chart toppers alongside its iconic logo. Packaging also has to serve other, higher purposes, being earth friendly, less wasteful and more informative. Old-fashioned, vintage-look wrappers are becoming common, especially for artisanal and small-batch products, and stripped down and streamlined is the order of the day. But it's dubbed essentialism—just the facts—rather than minimalism. And as in other food areas, story rules. "You have to talk about the origin and the benefit of the product," said Seguin, whose Popchips has gone through a full-scale packaging revamp lately. "That's the millennial mindset, and it's really driving decisions." 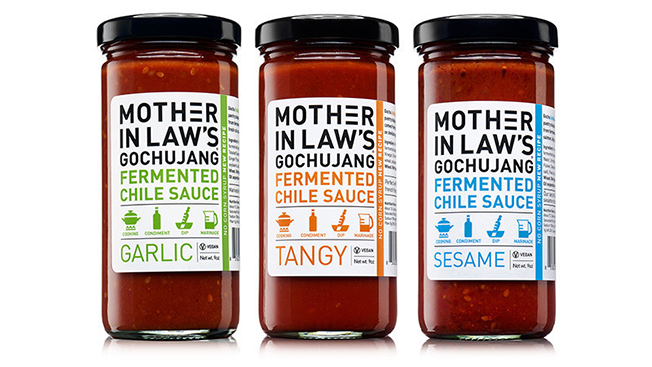 If Sriracha is so 2015, what's the new flavor sensation for 2016 and beyond? Chances are good that it'll come from Southeast Asia or the Middle East. 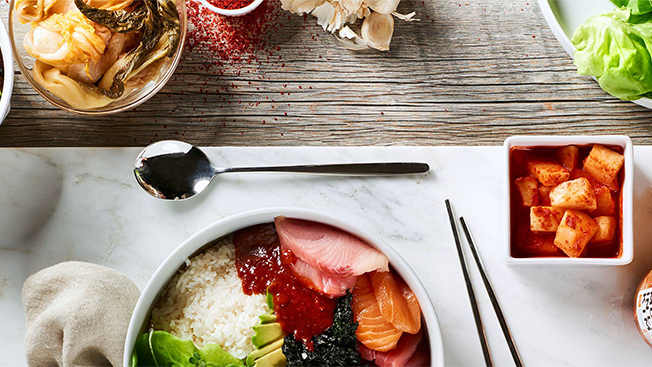 It could be ghost pepper, sumac, turmeric, sambal, dukka or gochujang, according to Technomic, which notes the speed at which some of the exotic spices are moving from Michelin-starred restaurants to fast casual chains. Buffalo Wild Wings and Taco Bell are into ghost pepper, for instance, and gochujang went from trendy New York eateries to P.F. Chang's with lightning speed. Executives like Popchips CMO Marc Seguin look everywhere from food trucks and cutting-edge chefs to Instagram and trade shows to find the next flavor craze. Harissa mint carrot chips? He's considered it because, "there's no reason for consumers to settle for something ho-hum," he said. "They want different and exciting—they're looking for a new food experience." Avocado toast has already jumped the shark, Levine said, while celeb chefs like Britain's Yotam Ottolenghi and Philadelphia's Michael Solomonov have introduced foodies to a mélange of Middle Eastern flavors. "The time has compressed so much from origin to mass market," Levine noted. "The velocity of food trends now is fascinating." Major food manufacturers have been snapping up small boutique brands for years, with Coca-Cola, Campbell Soup Co., ConAgra and others giving themselves a leg up in the lucrative organic game by acquiring trusted labels. 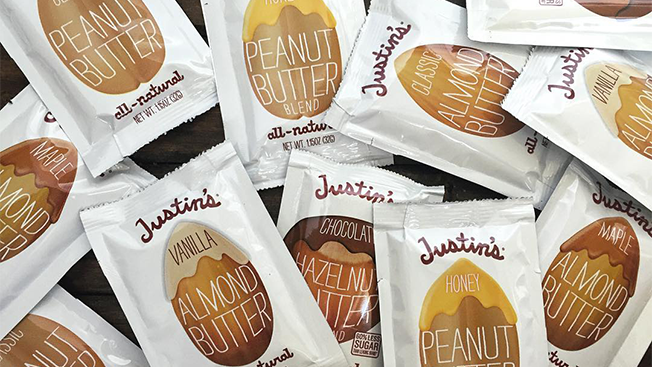 And there's a new wave of buyouts happening, with Spam and Skippy maker Hormel recently paying a reported $286 million for Justin's natural nut butters, a brand that launched at neighborhood farmer's markets in Boulder. This acquisition came on the heels of Hormel buying organic and natural meat marketer Applegate Farms for $775 million. In both cases, Hormel execs are on record saying they will allow those brands to do what they do best, without interference. But there's plenty of suspicion, Levine says. "There's already a backlash," he said, "because this consumer worries that the story of the brand will get lost in the transition." Few indies remain in the category, with Bob's Red Mill and Amy's Kitchen staying autonomous at a time when General Mills took over Annie's Homegrown for $820 million and Flower Foods bought Dave's Killer Bread last fall for $275 million. "The most recent deals are a microcosm of what's happening in food right now," Levine said. "Just follow the money."